The PPBI was established in Jakarta in 1979 and since then has been growing steadily. It is the only Bonsai organization in Indonesia and now has over 61 chapters spread throughout the country with thousands of members and holds regular member and chapter meetings as well as local and national exhibitions. There are quite a number of plant species that are used for Bonsai in Indonesia click on the link below for more details. The PPBI also has a Suiseki Division which actively collects and displays local Suiseki. 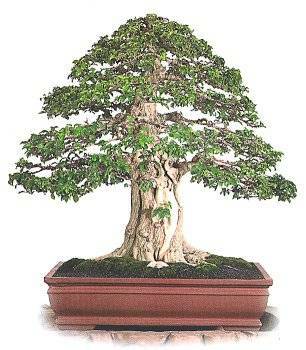 The history of Bonsai in Indonesia is not lengthy. However, the tropical archipelagoes with more than 17000 islands provide various unique trees and species that speed up the growth of Bonsai in Indonesia. As for Suiseki, the country is located in the ring of fire and provides us with various stones all over the country, serving as the hunting grounds for Suiseki lovers in Indonesia. Here are some of the most outstanding photos of Bonsai from 467 trees which participated the national exhibition held in May 2001 at Semarang.